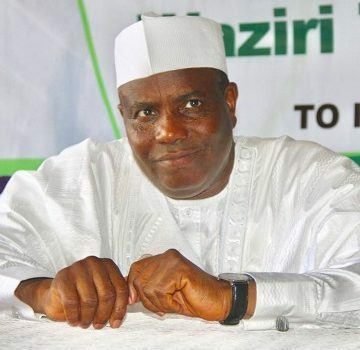 Sokoto governor, Aminu Tambuwal is said to be missing from the Independent National Electoral Commission (INEC)’s list for the 2019 governorship election. According to Daily Trust, Tambuwal not listed among candidates for elections in Sokoto state – Rather, Manir Dan’iya was listed as the candidate of the Peoples Democratic Party (PDP) for the governorship election in the state. Tambuwal, who dumped the All Progressives Congress(APC),a few months back and joined the PDP, with the hope of clinching the presidential ticket of the party. River state governor, Nyesom Wike, reportedly wooed Tambuwal to the opposition party, with a promise to be given the party’s presidential ticket. Tambuwal, however lost out in the party’s primaries and now, also report say he wasn’t also listed in the state for governorship election in his state. Previous postRita Ora Lets BREASTS OUT . . . No Wonder Jay Z Got Caught Up! !